Renting out your home to tenants can be a lucrative investment or a financial sinkhole, depending on a variety of factors. It can increase the cash flow in your own household if you can charge a rent in excess of your mortgage payments. Renting out your home can be a smart and safe way to sit out a bad housing market and postpone your efforts to sell your home until conditions improve. If done incorrectly, you can lose your money, damage your home and create legal trouble. 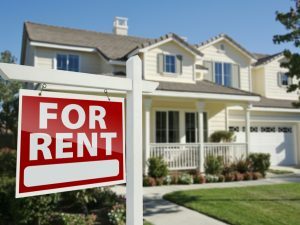 If you want to make a profit off renting your home, it is important to understand how to prepare your home for renters and how to fulfill the responsibilities of a landlord. Renting out your home is not something you want to rush in to. Upon further examination, you may find that renting out your home now does not help you meet your goals, but renting out your home could be a better decision in a few months or the following year. When considering whether to rent out your home, make sure that you review the important factors listed below. Figuring out the going rates for rental homes in your area is one important factor to keep in mind when renting out your property. By looking at other rates for similar houses, you get a sense of what sort of rate you can set. Can you achieve your intended financial objectives in renting out your home with the rental rate you can expect to charge? If not, market conditions might make it a bad time to rent out your home. To make renting out your home financially viable, you may find that upgrading your home is the only way to command the rent prices you want to charge. While you can still technically rent out your home to help reduce your monthly mortgage, it may not be worth taking on the added responsibilities of being a landlord. In addition, there are two other key variable expenses to consider. There are costs involved in finding tenants to rent your home, such as marketing and screening costs. You must also be prepared to cover any costs for months your home goes vacant before and between renters. Both of these factors are largely determined by the area you are trying to rent your home. If you already know someone in the area looking to rent, you do not have to worry about advertising costs. You must know whom you can expect to attract as tenants and whether you can trust them to meet their rent obligations and take care of your home. At the same time, renting to people like friends and family can cause you problems later. Make sure that you screen your tenants closely and look at their rental and employment history. If you can, run a criminal background check and pull up a credit report. You need your tenant’s signed permission to research this information. The terms of your lease constitute an agreement between you and your tenants. There are consequences should either of you break these terms. On top of the terms you set, there are also other legal terms you must meet as a landlord. Landlord-tenant law covers certain legally-protected rights and legally-enforced responsibilities of both landlords and tenants alike. Make sure you are aware of all your legal rights and responsibilities as a landlord before you decide to become one. One key legal consideration is your personal liability for anything occurring on the property. If someone gets injured on the property, you have at least some liability. If someone engages in illegal activity on your property, the burden is on you to prove you were not aware of it. Hire a real estate lawyer to help you craft a comprehensive lease to protects your rights as much as possible. When you rent out your home to tenants, you are still responsible for maintaining certain standards of living in the home. If any included appliances or structures need repairing, you must provide it. If the home becomes overrun by pests, you are responsible for handling it. If the basement floods, you are responsible for draining it. Basic services and features like plumbing, electricity, heating and cooling, structural soundness and security are all the responsibilities of a landlord. Adherence to building and safety codes are also your responsibility. Depending on the terms of the lease you and your tenants sign, yard maintenance may be your responsibility too. If you are not prepared with the time, availability, skill and resources to handle the regular maintenance and upkeep of a home required of any landlord, you must include the cost of hiring a property manager in your budget. If you cannot be around to handle property management duties, you can hire an outside property manager. The best way to navigate all the important nuances of renting out a home successfully and profitably is to get help from the experts. Find a qualified accountant and lawyer with experience in real estate and a contractor or handyperson you trust to advise you in critical areas. Purchase adequate liability and property insurance to protect you in case of crisis, including coverage for unforeseeable events like fire, flooding, theft and earthquake, if applicable for your neighborhood. Before renting out your home, ensure your own housing needs are taken care of. What happens if you lose your current housing? Are you prepared to pursue an owner move-in eviction of your tenant, or would you seek housing elsewhere? Could you afford to find someplace else to live without evicting your tenant? Is it possible for you and your tenant to share the space? These are all important questions to ask yourself before making the commitment to rent out your property to tenants.